It’s always the same question: “What’s the most popular engine built today?” The answer isn’t quite so simple. Engine builders are skilled at solving problems, enhancing durability and maximizing performance in the engines they build, no matter the fuel source, the displacement or the final destination. Whether it’s a one-cylinder landscaping engine or a 16-cylinder heavy-duty diesel, Engine Builder readers combine art, science and sometimes a little bit of magic to do their jobs better than anyone. We’d like your help in answering the question about engine popularity. 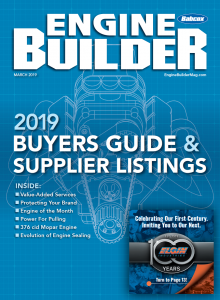 The following survey questions – part of our annual Machine Shop Market Profile – will help shed some light on the engine and cylinder head platforms getting the most attention today. In addition to some questions about your business operations, we are interested in knowing the five most common engines you rebuild annually. Your answers will be combined with those of readers from across the country to capture a snapshot of the engine landscape. We don’t ask you to do this for free, either. Complete this survey and get a chance to win a $250 Amazon.com gift card, or one of 15 second place prizes of a $50 gift card. Spoiler alert – there are two other segments of the survey that you can complete for additional chances for the prize drawing. 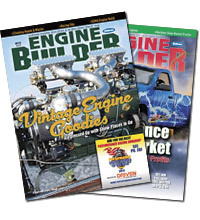 It won’t take you long to complete but the results of the survey can help direct the editorial content of Engine Builder magazine over the next year. We hope you will participate!